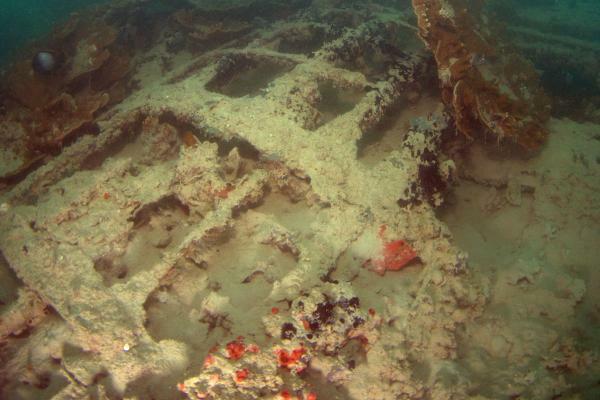 Just days before the 74th anniversary of the attack on Pearl Harbor in Hawaii, a group of students released the very first photographs of a downed U.S. Navy seaplane that sank during the Japanese invasion. At the time of the attack, seaplanes like the one just photographed were kept directly on the water near the airfield at Kaneohe Bay, the site first targeted by the Japanese bombers. According to USA Today, at the time, there were 36 Catalina PBY-5s , a kind of amphibious aircraft, at the base, some stationed on land and some in the water. 27 of those planes were destroyed in the attack, including some that sank quickly into the bay. Six others took damage. The downed seaplane sustained an attack on Kaneohe Bay before Japanese bombers made their way to Pearl Harbor. The site isn’t publicly accessible, so the images allow scientists to share the wreckage with others. 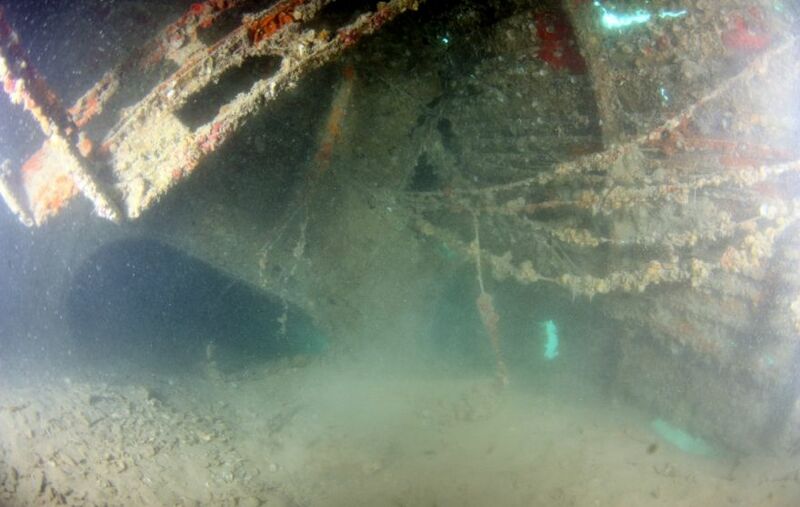 They also help with documenting a historically significant wreck over time. USA Today reports the seaplane had a wing span of 100 feet, about comparable to a modern-era Boeing 727 commercial jet. It now sits in pieces 30 feet below the surface in Kaneohe Bay next to a Marine Corps base, about 20 miles east of Pearl Harbor on the other side of Oahu. There were an estimated six of these planes, also called “flying boats,” in the bay at the time of the attack, but Hans Van Tilburg, a maritime archaeologist with the Office of National Marine Sanctuaries, said nobody is sure what happened to the others. Van Tilburg told USA Today that a mooring cable is still attached to the plane, but there are signs someone started the port engine before the plane sank. This indicates a crew may have died while attempting to take off as the aerial assault began. The Catalina PBY-5 could hold an eight-man crew, and four 500-pound bombs. Standard practice was to keep someone on the seaplanes at night to make sure the aircraft didn’t drift off. There were aviator casualties in the water, but it’s not known which planes they were on or when they got off, Van Tilburg told USA Today. “That’s one of the mysteries of the story,” he said. The seaplanes would have been priority targets because they could fly as far as 2,000 miles and would have been able to follow Japanese planes back to their aircraft carriers, according to Van Tilburg. Van Tilburg said the plane is a battlefield casualty, just like better-known counterparts like the USS Arizona and other vessels bombed in Pearl Harbor. Van Tilburg said Friday he imagines commanders rightfully assumed the plane was a total loss and not worth salvaging. There’s been no “dedicated discussion” to retrieving the plane, which is currently in three large pieces, he said. It would cost a great deal to stabilize it and bring it ashore. The aluminum and other metals may leech over time, but that fact must be balanced with habitat the plane provides for fish and other marine life, Van Tilburg said. The site has become a living reef, he said. More than 2,400 sailors, Marines, soldiers and civilians were killed across Oahu during the Japanese attack. For history buffs already interested in visiting Pearl Harbor, you can drive a short distance to see the site of the downed seaplane, too. After you complete your Pearl Harbor Basic Tour or Home of the Brave Tour at Pearl Harbor, it’s just a 20-minute drive to Kaneohe Bay, the site where researchers found the plane. Ask your travel professional at Hawaii Aloha Travel how you can see both sites during your visit. Turns out, the first victims of the attack on Pearl Harbor weren’t in Pearl Harbor at all, but rather at Kaneohe Bay. And, now that the photographs of the downed seaplane are visible and public, we can continue to expand our knowledge on the attack that changed the course of history.